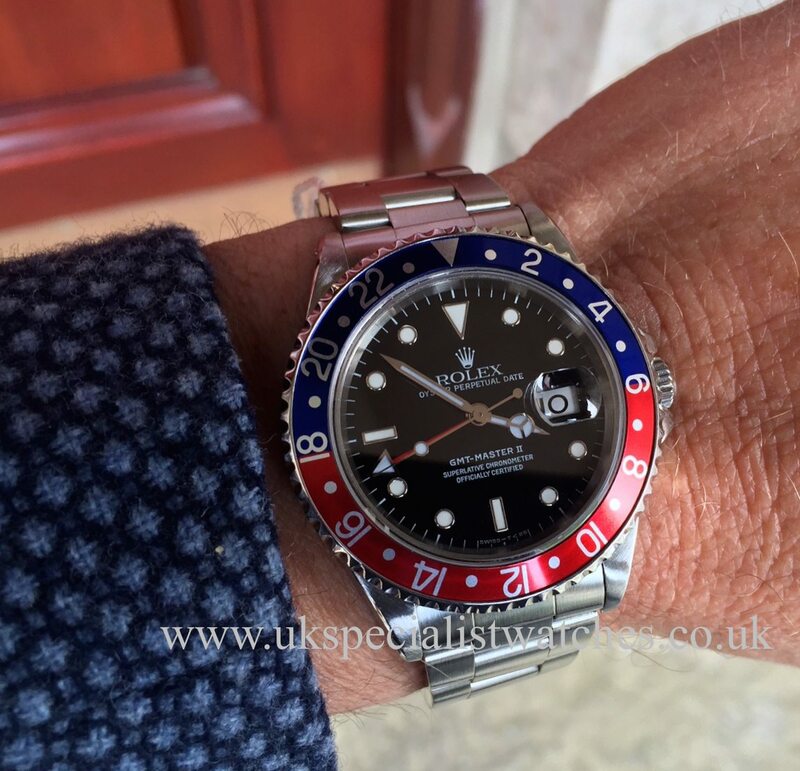 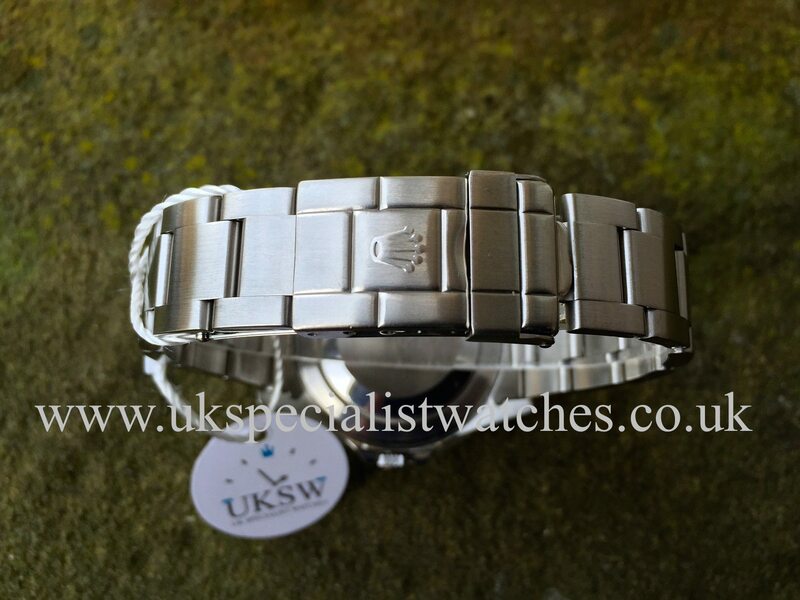 Rolex GMT II 16710 with the Swiss T Dial. 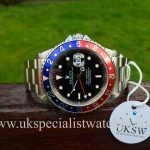 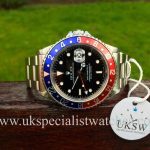 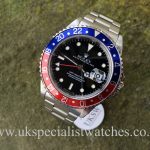 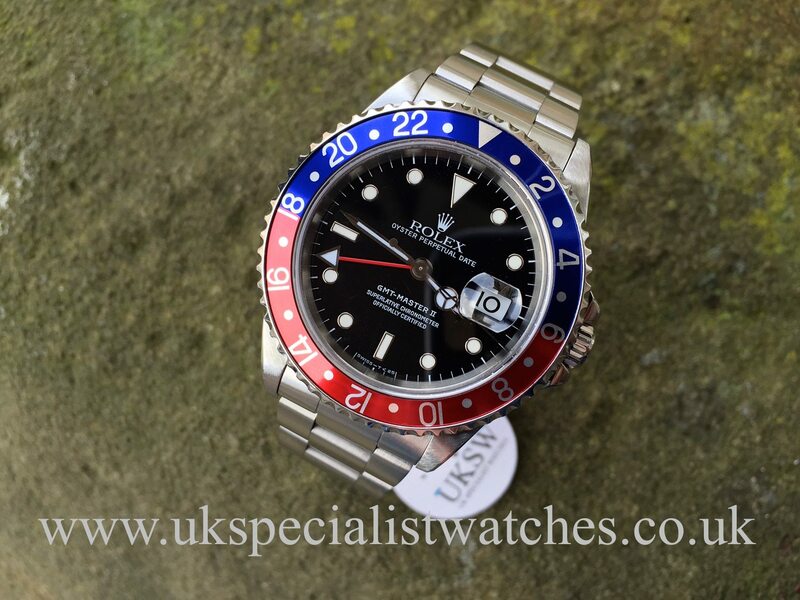 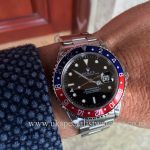 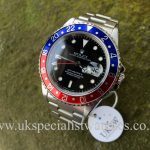 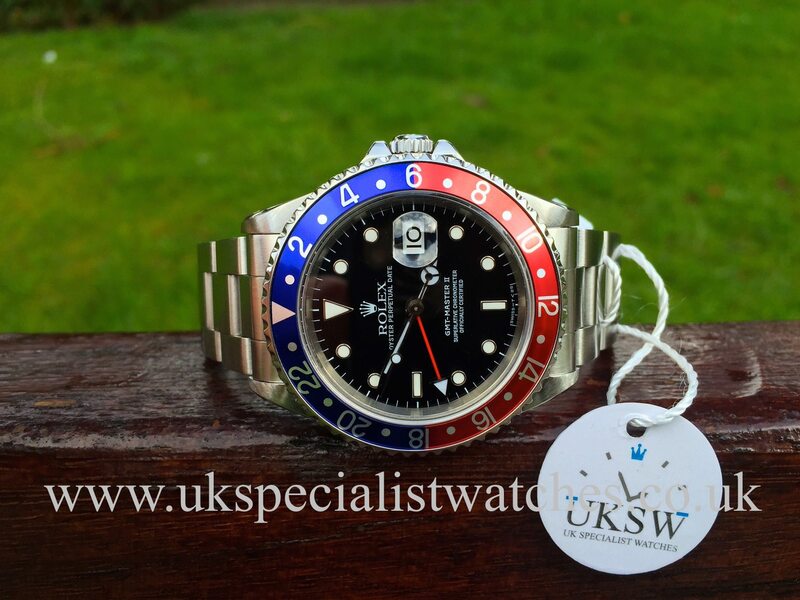 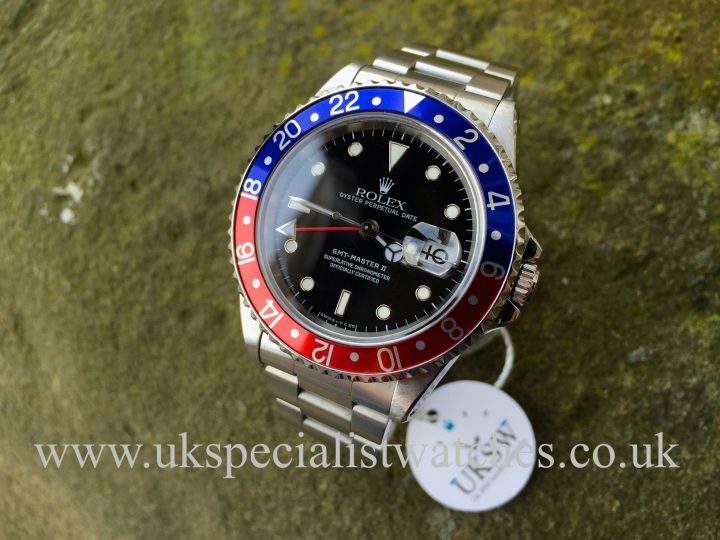 This Rolex GMT sports watch is becoming highly collectable right now and increasing in value much much faster than we first anticipated. This model is no longer produced and becoming increasingly more difficult to find especially this being one of the last GMT’s to have the Tritium Swiss T dial. 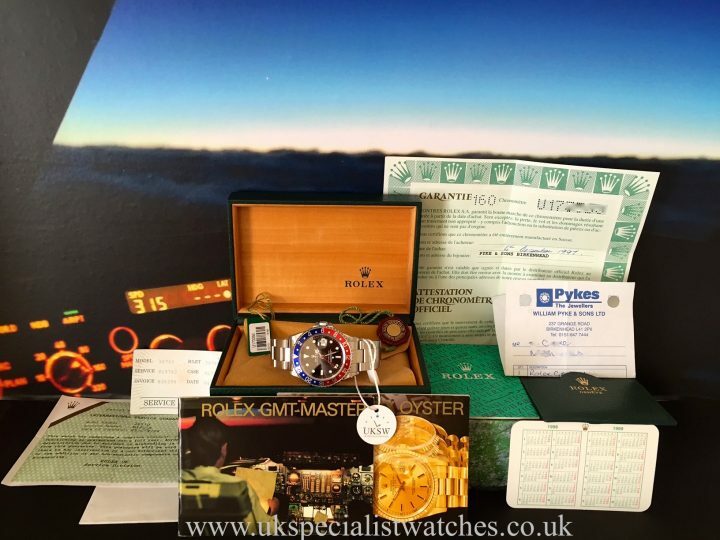 Our stunning one owner example comes totally complete with all original boxes papers, both swing tags, leather wallet, both instruction booklets, Rolex service receipts dated 2002. 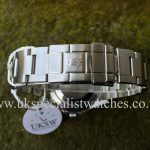 2006 & Robinson serviced 2014 UK supplied December 1997. 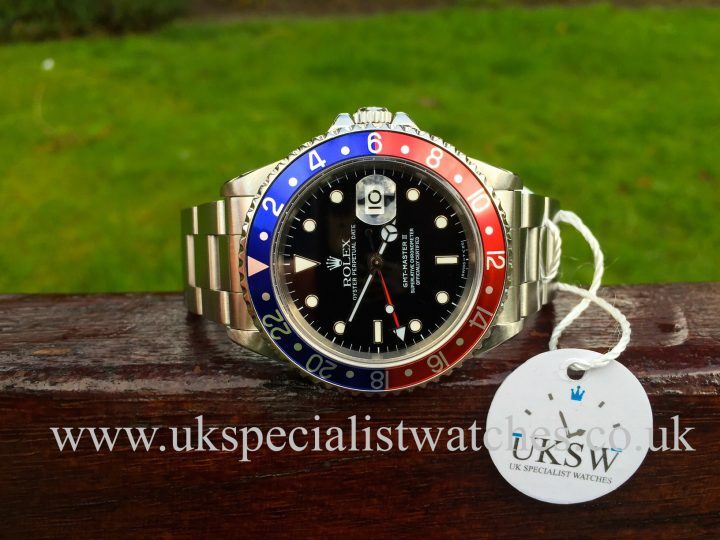 U serial number. 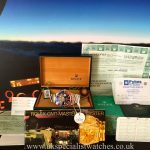 We even have the original purchase receipt!